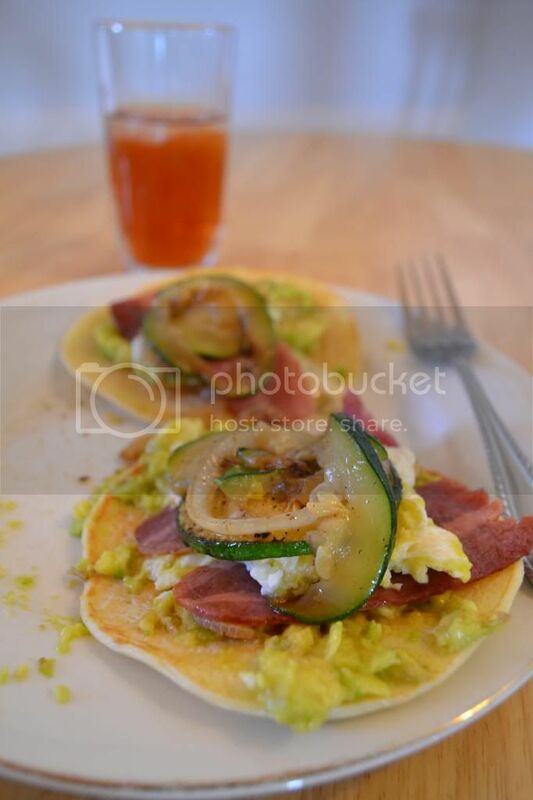 Piled high with chunky guacamole, eggs, crispy bacon and roasted zucchini and onions. 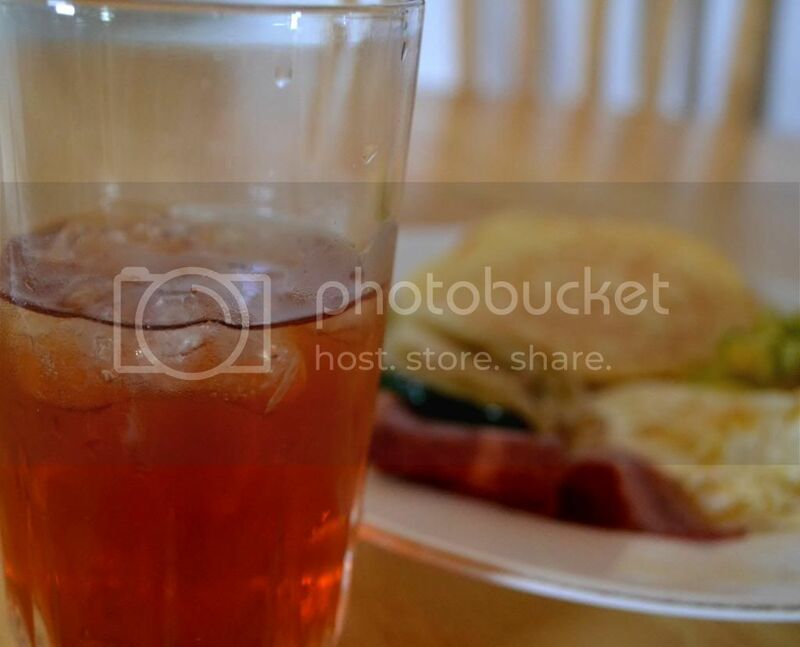 All washed down with a perfectly chilled glass of iced tea, well, several perfectly chilled glasses! This morning I realised that we had run out of bread and potatoes, which meant no toast or hash-browns, which just happen to be two of my favourite sources of breakfast carbohydrates. Feeling very hungry and highly annoyed at our lack of starches, I decided to try my luck at making crepes. They turned out pretty good but weren't as thin as I would have liked. It's very easy to whip up a batch, they're perfect for a lazy weekend breakfast or brunch. I'll post the recipe below, you'll end up with about 6-8 crepes. In a bowl, combine the flour and the eggs, slowly add the milk and water, stirring to combine. Throw in the salt and butter and BEAT until completely combined and smooooooth! Very lightly oil a frying pan and when hot, pour the batter in. (I used about a 1/4 cup for each crepe) Cook the crepe until the bottom is golden brown, then FLIP and cook the other side. 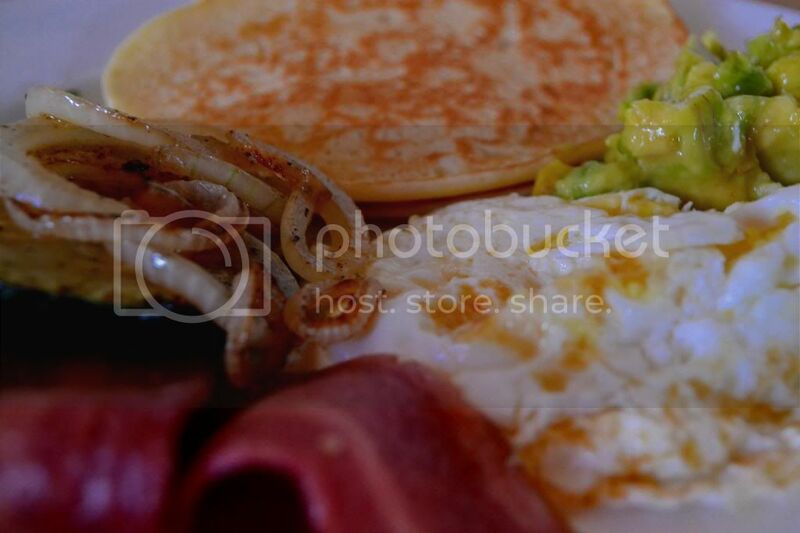 Serve with your favourite breakfast sides. 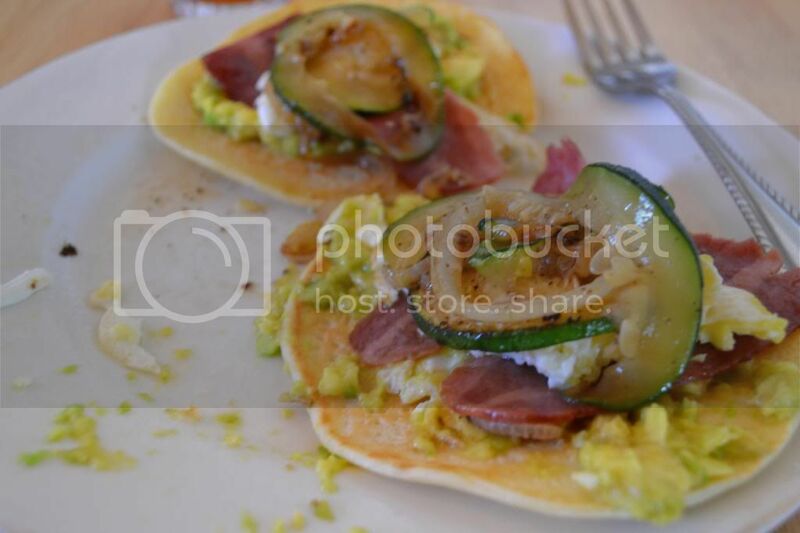 My favourites are roasted zucchini and onions with eggs! 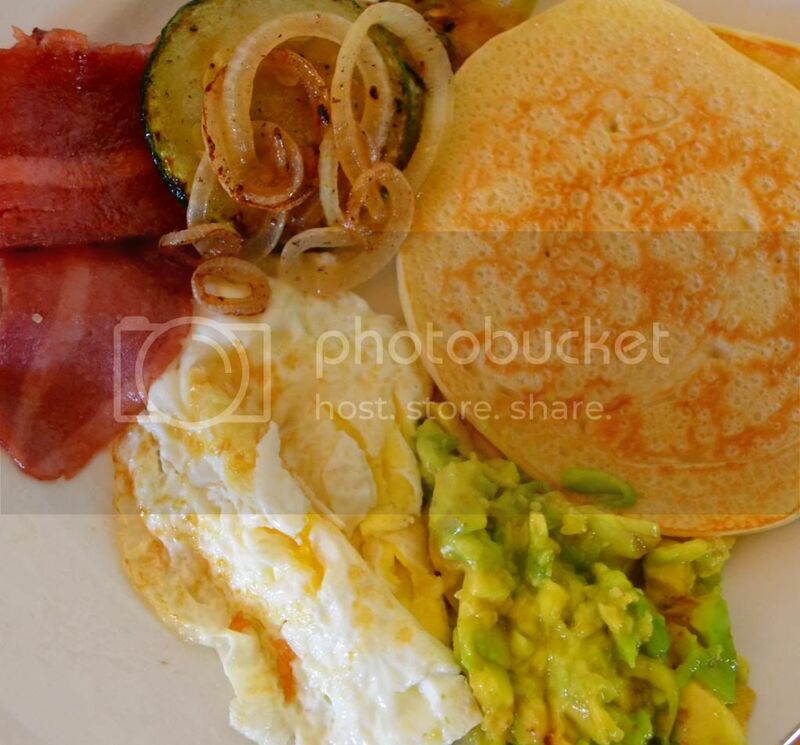 What's your go to breakfast carbohydrate? Have you tried roasted zucchini's and onions? YOU HAVEN'T??? We can't have you missing out on that can we? Try it! I'll post a recipe soon. Promise.